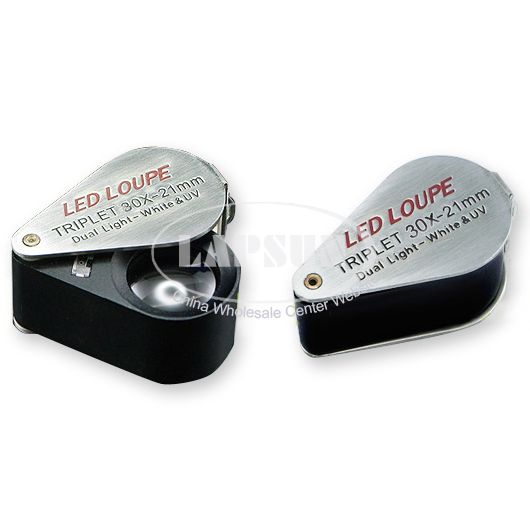 This 30x Magnification Loupe is an ideal tool for Jeweler, laboratory and industrial use. 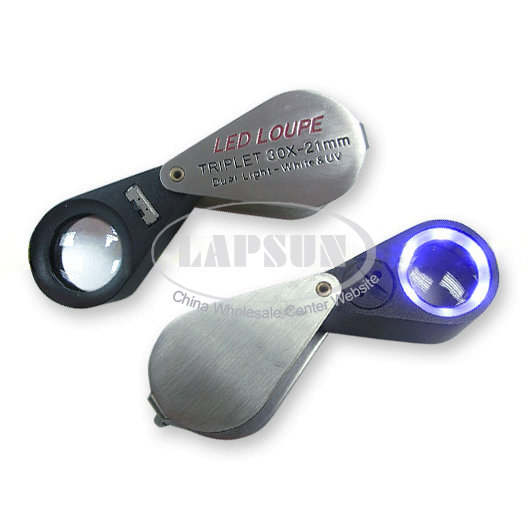 The loupe has the diameter of 21 mm and built-in 6 bright LED and UV light. 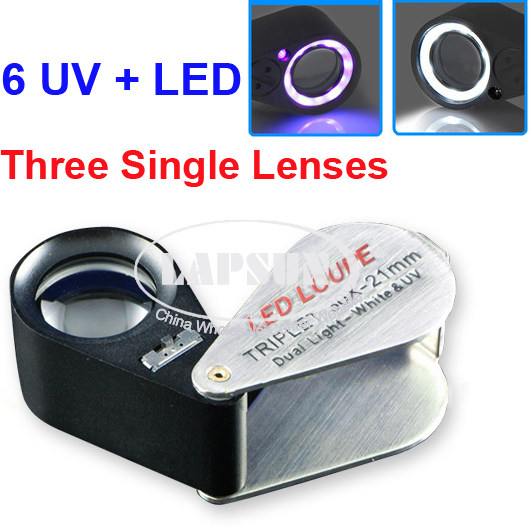 This Loupe is equipped with Triplet lens (consists of three single lenses) so that it is achromatically and aplanatically corrected. Provided storage case can protect the loupe when not in use, and a key for changing battery compartment. LED lights & UV light are activated by separate miniature on/off switch, functions as either a LED loupe or as a UV loupe. Diamonds with fluorescence will appear cloudy when viewed with the UV light on. 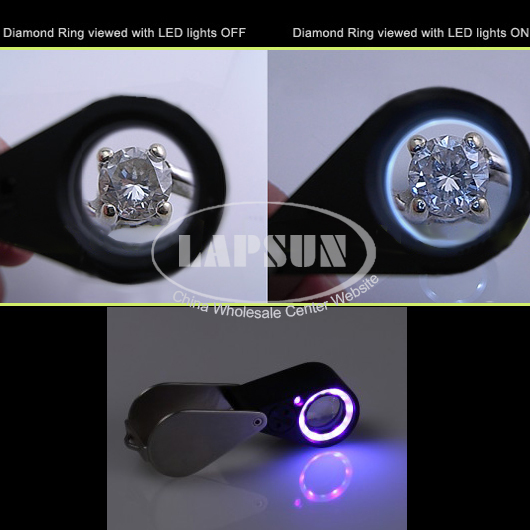 With 6 built-in LED and UV light, you can use this loupe in any brightness condition. Sufficient illumination plays an important role so that there is enough light to allow you to see clearest view of a magnified object. The field of view depends on the strength on the magnification. The stronger the magnification is, the smaller the field of view will be.